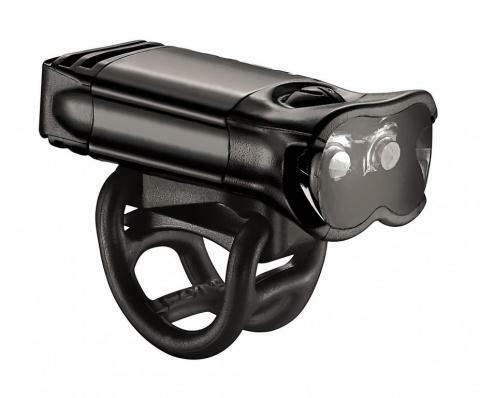 The Lezyne KTV Pro Drive Front is a ultra bright, ultra-compact, 70lm safety light. The CNC –machined aluminium body is lightweight, durable, and extremely weather-resistant. The Lezyne Sport Floor Drive is a high pressure floor pump that features a steel barrel and piston, a varnished wood handle, and a molded Composite Matrix base. It is equipped with ball/bladder adapters, and users can choose to utilize either its ABS Flip-Thread Chuck, or the new Dual Valve head. An extra long rubber hose with Composite Matrix connectors easily reach both Presta and Schrader valves. Its 2.5-inch oversized gauge is precise and very easy to read. An anodized high-polish finish makes this digital pump stylish and durable. 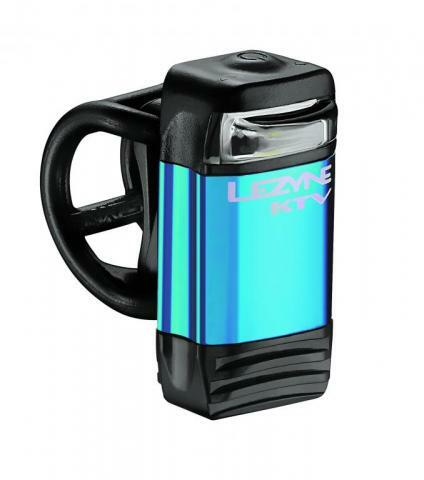 The Lezyne KTV Pro Drive Front is a ultra bright, ultra-compact, 70 lumen safety light. Paired with the KTV rear this is an unstoppable pair. The CNC –machined aluminum body is lightweight, durable, and extremely weather-resistant. The Composite Matrix back clip features the Clip-On System, with movable clip, for versatile strapped or clipped mounting. The multi-position silicon rubber strap attaches directly to the back plate to secure the light to a wide range of handle bar/seat post diameters. 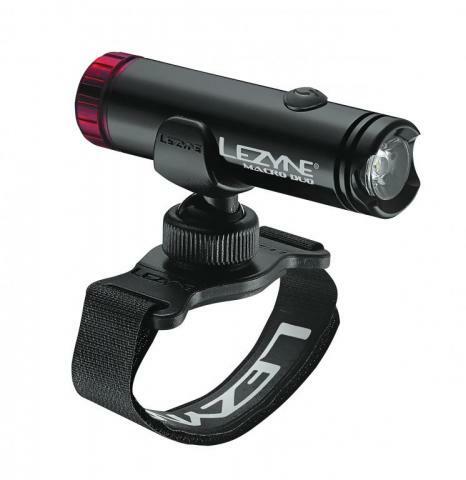 The Lezyne Macro drive duo is the ultimate combo light with 400 lumen of front power and 5 lumen in the integrated rear light. The Intelligent Power Indicator button allows the user to check the power level at any time. 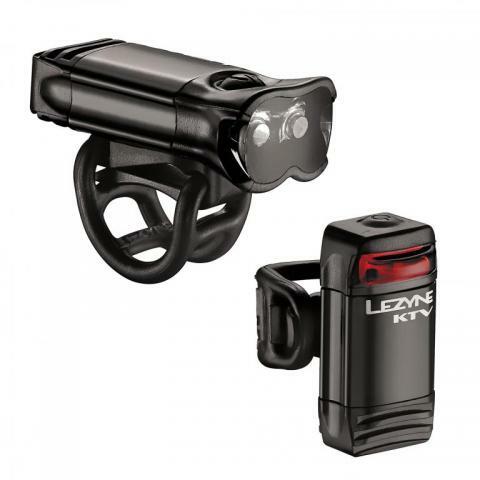 The Lezyne KTV Drive Front is a bright, ultra-compact, 15 lm safety light. The CNC –machined aluminum body is lightweight, durable, and extremely weather-resistant. 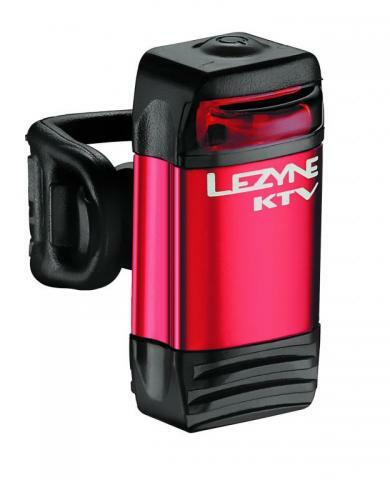 The Lezyne KTV Drive Rear is a bright, ultra-compact, 5 lumen safety rear light. The CNC –machined aluminum body is lightweight, durable, and extremely weather-resistant. The Lezyne Sport Digital Drive is a high pressure floor pump that features a steel barrel and piston, a varnished wood handle, and molded Composite Matrix base. It is equipped with an extremely accurate Digital Gauge, ball/bladder adapters, and an ABS Flip-Thread Chuck made more efficient with an extra long rubber hose with Composite Matrix connectors to easily reach both Presta and Schrader valves. The included Speed Chuck makes this pump compatible with disc wheels. The barrel is treated with a precise paint job to achieve a finish that is both durable and stylish. The Lezyne Pressure Drive CFH delivers convenience and superior performance with the HP inflation system that perfectly combines a Pressure Drive hand pump with a CO2 inflator to make this an all-in-one inflation system. The CO2 Flex Hose (CFH) is a high pressure, braided steel reinforced hose and comes equipped with the Flip Thread Chuck (non-ABS) that allows users to engage this inflation system on both Presta and Schrader valves. The CFH can be used with threaded CO2 cartridges or with the Pressure Drive hand pump to inflate tires to riding pressure.